Mt. Timpanogos, UT – Utahan Devin Stratton can thank his lucky stars. 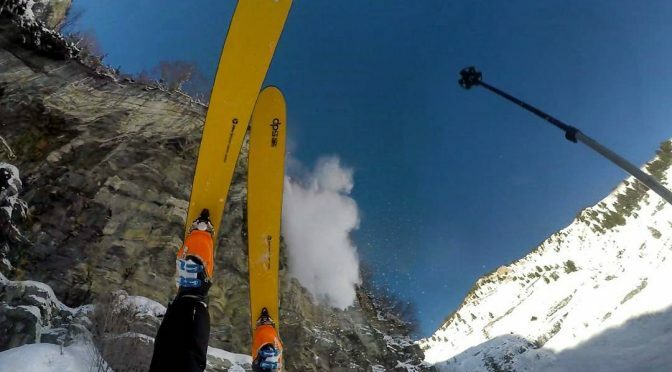 After all, how many people accidentally ski off a 150-foot cliff and survive? And he caught it all on his GoPro. Stratton, 25, was skiing with some buddies in the Wasatch backcountry on Mt. Timpanogos above Provo when the incident occurred. Stratton came over a small mound and suddenly realized what was in front of him: a cliff that he estimates at 150 feet high. In his video you can see him slam on the brakes, but it was too late.